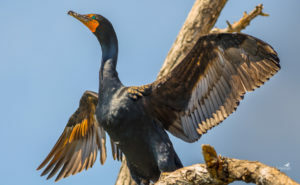 After being nearly wiped out by human persecution and pesticide poisoning, the Double-crested cormorant has returned to the Great Lakes. Cormorants are a native Ontario water bird who have not yet recovered to historic population levels. The return of cormorants is a good news environmental story that indicates reduced pesticide levels. As well, cormorants are the only major predator of several damaging invasive fish species. 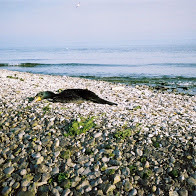 Sadly, special interest angling groups – who erroneously claim cormorants are responsible for depleting sport fish numbers, destroying shoreline ecosystems, disturbing other colonial water birds and causing pollution – are pushing for their eradication. Cormorant Defenders International is working to rehabilitate the image of Double-crested cormorants, to stop abusive, unnecessary “population management” practices and to prevent the indiscriminate slaughter of cormorants throughout Ontario and parts of the United States. Watch this two part video for a better understanding of the plight and persistent myths surrounding this unfortunately persecuted waterbird.